Jewelry retailer Tiffany & Co. is replacing its chief financial officer as it reshuffles longtime executives and adds a chief operating officer position. The company says 45-year-old Patrick F. McGuiness will replace 55-year-old James Fernandez as chief financial officer. Fernandez is taking on the newly created post of chief operating officer and McGuiness will continue to report to him. The moves are effective immediately. McGuiness has been with Tiffany since 1990 and was most recently senior vice president of finance. Fernandez joined the company in 1989 and has served as CFO as since 1998. 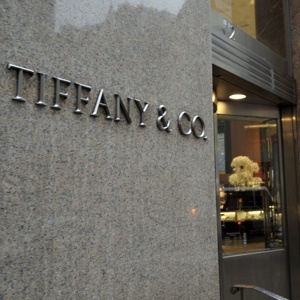 Tiffany and other luxury brands are doing well as the sector rebounds quicker than others. Its first-quarter profit climbed 25 percent on higher revenue across all regions worldwide in its most recent quarter. new cooreplaces cfotiffanytiffany & co.